Eric R. Lee, Stanford University, CA. 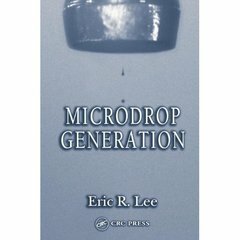 Offers the first how-to presentation of microdrop generation, giving readers the background needed to build or evaluate complete commercial systems. This bestselling reference thoroughly explores the science of miniaturization, including its methods and materials, from the historical to the state-of-the-art. For this edition, the Applications section has been expanded to provide more in-depth coverage of bio-, RF-, high-temperature, and optical MEMS. The book includes a multitude of well-chosen examples and hundreds of illustrations, many in full color. WHAT CAN YOU DO WITH A MICRODROP?